Should You Rent or Buy Your Water Softener System? A water softener is a great way to improve the quality of your water and make it kinder and easier to work with. 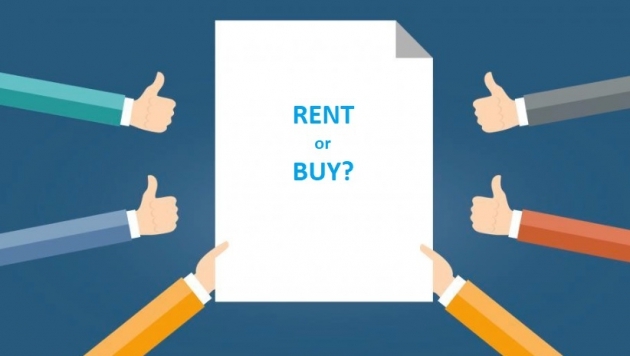 Once you’ve made the decision to choose a water softener, you’re presented with a choice; do your rent or buy your system? This isn’t always as clear cut as you might imagine, the monthly costs of renting a water softener or buying a system will be covered by the benefits and savings that you make. So, how do you decide which is the best choice for you? When you’re ready to take the plunge and get a water softener for your home, there are three things that you need to consider first. It’s important to know the quality of your water supply by testing it for hardness with a strip from a testing kit. The results of your water test will dictate the level of maintenance and servicing frequency that your water softener will need. If you’re supplied with private well water, there may additional water conditions, such as sediment, sand, and hydrogen sulfide to think about. These harsh water conditions are hard on a water softener; they will significantly reduce the useful lifespan and repairs may be more frequent. In this particular case, there are pre-treatment options that can reduce the risk to the water softener system. The water supplied by the city shouldn’t have properties that could result in the immediate failure of your water softener system. If your water has high levels of chlorine, this can cause wear and tear on the components in a water softener. A pre-filtration system can remove the chlorine, this will make the water more palatable, and it will improve the lifespan of your water softener. If the water supplied to your home is reasonably good (apart from the hardness) it’s not likely that you will get much benefit from the servicing and repairs included in a typical water softener rental contract. In these cases, it’s often a far better idea to purchase the water softener instead. Many people dismiss a water softener because they are on a tighter financial budget. It’s often regarded as a luxury item, which is unfortunate because it can save you money on a reduction in repair bills, increased energy efficiency, less detergent and soap and a longer lifespan for water using appliances. But, if you don’t have the available capital on hand to purchase a water softener, it’s a better idea to rent a system instead. If you want to purchase a water softener, but you cannot afford to buy one, there are competitive financing options available. The cost paid each month is comparable to renting, but you own the equipment at the end of the rental period. If you choose to rent or buy your water softener system, you will still notice significant savings and an improvement in your water quality. The savings will usually cover the monthly cost of renting or buying your water softener system. If you want to know more your local water treatment professional can offer you expert help and advice.